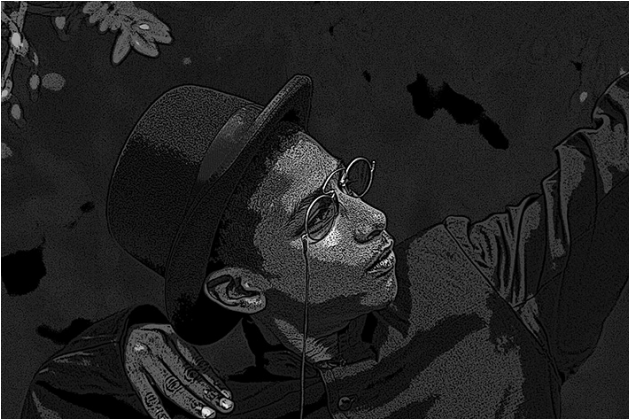 A VISUAL STORY INSPIRED BY THE HARLEM RENAISSANCE that combines historical events and fiction. The historical aspects of this project are based on research carried out at New York Public Library-Schomburg Center for Research in Harlem. The fictional elements of the story are comprised of works created specifically for the project, using different formats: written text, photographs, paintings, manuscripts, printed materials books, and illustrations. Those works will be based in disciplines such as music, theater and dance. The project aims to combine the techniques of a historical novel with museum curatorial practice. Subjects of Portraits from Asturian Fine Arts Museum Collection compete to win the Miss and Misters Asturian Fine Arts Museum 2014 awards. The judges are the audience. 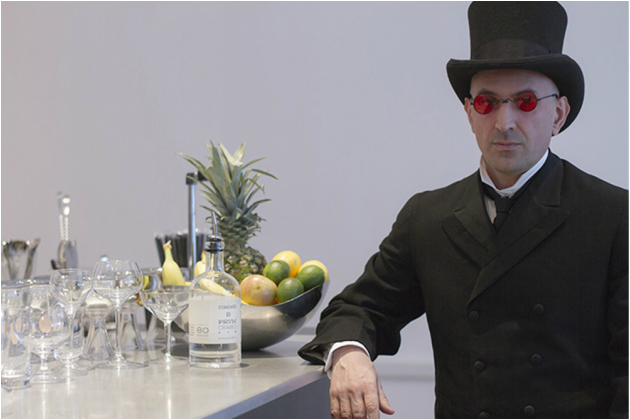 Artist and psychological mixologist Dr. Paco Cao presents a new process of making cocktails. This method transforms the way we usually consume cocktails. Instead of selecting drinks from a predetermined menu, the client fills out a questionnaire and according to the answers Dr. Cao creates a personalized recipe for each client. First, a guided tour of avant-garde masterpieces in MoMA’s galleries highlights the importance of bars and drinks for the avant-garde. Second, workshop participants are introduced to the process involved in the making of psychological cocktail. Third, workshop participants are invited to actively collaborate with the artist in the design of a MoMA-specific questionnaire based on the Museum’s collection, uncovering the symbolic and psychological power of those works of art. Finally, the class culminates in a celebratory, hedonistic event held at MoMA's Terrace 5, during which Dr. Cao will provide psychological cocktail services for the enjoyment of the participants. 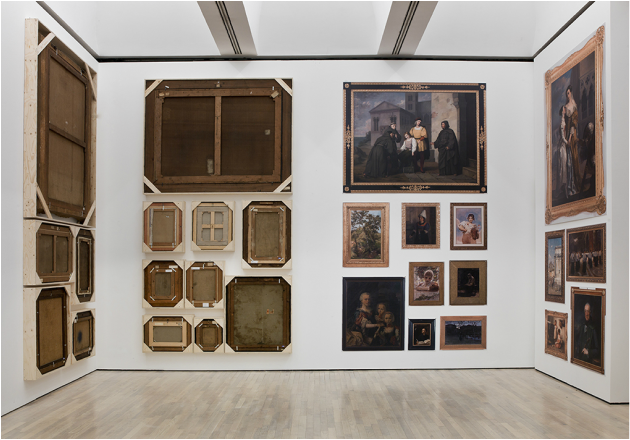 A composition of fourteen original works from the MART collection of eighteenth and nineteenth Century paintings has been installed with the painted surface facing the wall. At the same time, on a contiguous wall, the artist has installed high quality photographic reproductions of each painting mirroring the composition of the original works. Dance Poison, The exhibition is an expansion of the 72 minute film Dance Poison (2005-2009). The materials produced for the film are displayed in dialogue with new materials that extends the film´s narrative. Dance Poison, the Film, is a raw and lyrical inquiry into the confluence of cultures resulting from the subjugation of the Americas by European forces that blurs the boundaries between history and fiction and explores dance as a powerful instrument of both liberation and oppression. Filmed mostly in the Dominican Republic, Dance Poison combines newly produced footage with very rare valuable archival materials located in the USA (National Archives/Library of Congress, Washington D.C.), Dominican Republic (Archivo General de la Nación: Santo Domingo,) Spain (Filmoteca Nacional, Madrid), and France (Bilioteque Nationale de France/Lobster, Paris). 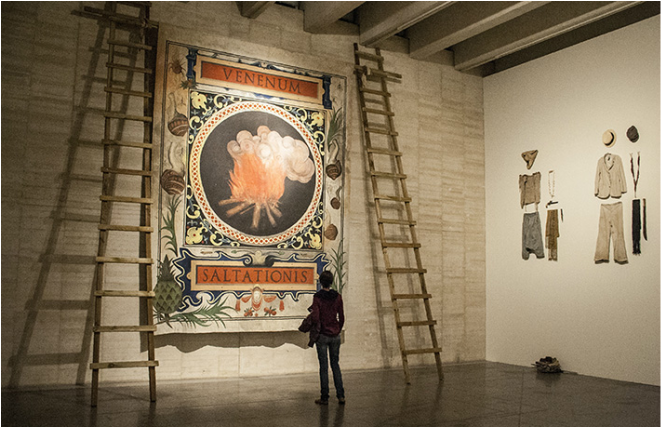 Commissioned and Funded by: CGAC, Santiago de Compostela, Spain and MUSAC; león, Spain. Collaborators: AECI (Government of Spain), Centro Cultural de España, Santo Domingo (Dominican Republic), Dominican Republic Air Force. 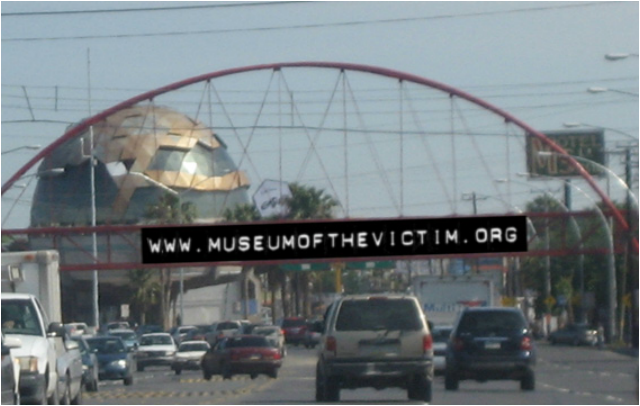 The Museum of the Victim is dedicated to presenting current and historical data with the victim placed at the center of events. The victim is a historical constant – a general reality present in all places and at all times. As such, the Museum does not focus on any specific period or people but rather is an ever growing global narrative built around a complex role, too often relegated to the footnotes of historical research and modern affairs reports. The project started at the Mexican American border in Ciudad Juarez, as part of Project Juárez. A series of 18 photographic portraits based on a science-fiction story written by the artist. The project links contemporary iconography with historical images and highlights the seminal role of “posing” as a form of performance in historical portraiture. Two parallel contests were organized in which the audience became both jurors and contestants. In one contest the audience voted for the best portrait in the collection. In the second one, the audience competed to win the honor of becoming part of the portrait series. Commissioned and Funded by: City of Terrassa, Department of Culture. 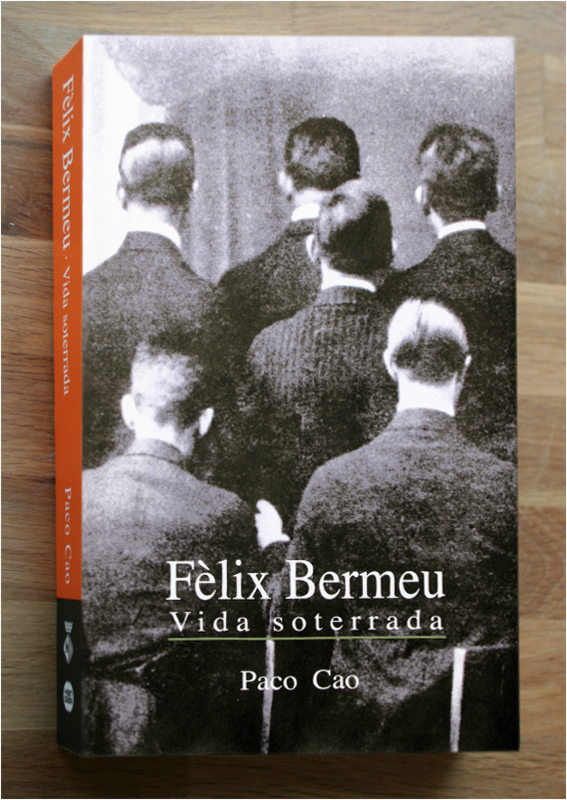 As part of the public art project Open Processes, the artist proposed to write, design, and publish the biography of a nonexistent character: Felix Bermeu. The book was based on historical research about the City of Terrassa (Catalonia, Spain). To create the identity of the character, in addition to written sources, the artist used photographs found at a local archive (Arxiu Tobella), which were reproduced in the publication. LOOK-ALIKE CONTEST SERIES: DO YOU LOOK LIKE JP? 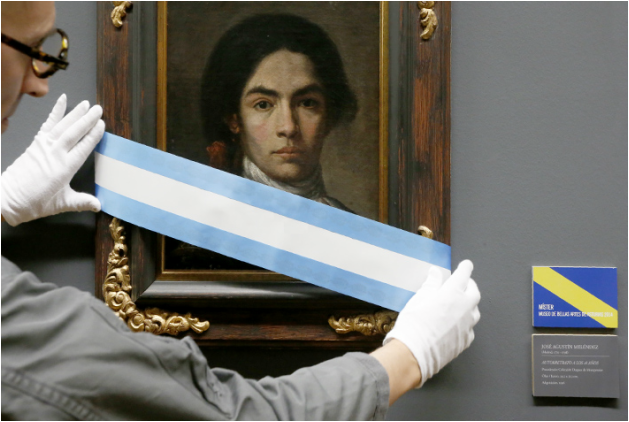 In Collaboration with: Casa América, National Theater, and El Prado Museum, Madrid, Spain. 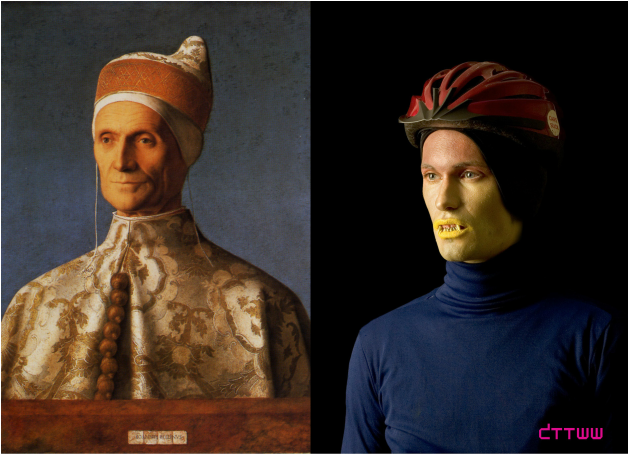 A look-alike contest, for which the artist digitally recreated the portrait of Juan de Pareja by Velazquez in the MET. 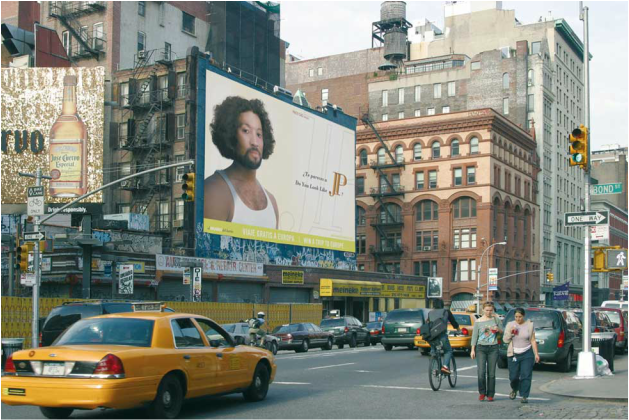 The resulting image was used in a publicity campaign to find individuals to enter the look-alike contest culminating in a theatrical event. Contest winners received a trip to Spain, the homeland of the original portrait painter and sitter. The winner participated in public events organized to honor him. A business venture modeled after a car rental agency. With just a phone call, clients could hire “the body” to do a variety of tasks ("carnal knowledge" not allowed). Basic—providing physical presence, including the possibility of altering the physical appearance of the rented body; Premium—providing small physical and intellectual tasks; and Deluxe—providing the above-mentioned services, as well as intense, intellectual activity. 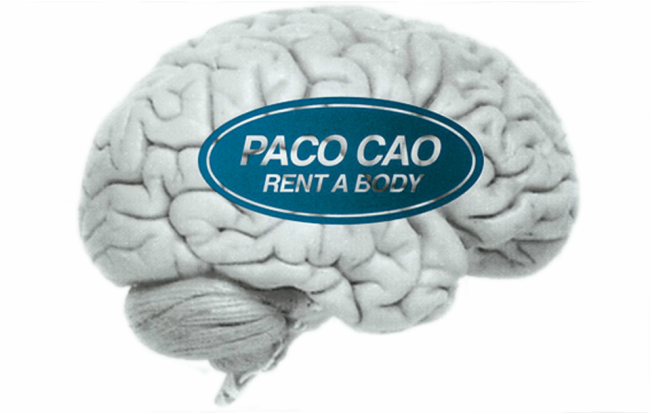 Rent-a-Body was promoted through the use of mass media including brochures, billboards, and print ads in newspapers. Originally launched in Oviedo, Spain in 1993 the enterprise expanded to New York City establishing a partnership with Creative Time, Inc in 1995.